Put your money through boot camp with Jeff Rose’s new book, “Soldier of Finance: Take Charge of Your Money and Invest in Your Future”. Have you been ignoring the warning signs that your money is out of control? Debt is the enemy. Financial freedom and prosperity are the objectives. In the book, Jeff takes you and your money to financial basic training like an Army private where he starts building you from the ground up. Jeff brings is military background and his financial planning expertise together in his book to help everyone take back control of their finances. He covers a wide range of topics like budgeting, investing, insurance, paying off debt, and much more. Jeff brings a wealth of knowledge from both the military and his financial planning practice and breaks it all down in his new book for everyone to enjoy. In this episode of the Money Q&A podcast, “Your Money: Your Choices”, I interview Jeff Rose who is a certified financial planner and author of the new book, “Soldier of Finance: Take Charge of Your Money and Invest in Your Future”. We talk about a how your finances can be related to military life. We talk about taking back control and the initiative with your money, finding the perfect accountability partner or battle buddy, and a host of other topics from his new book. You won’t want to miss it. Download the podcast on iTunes! 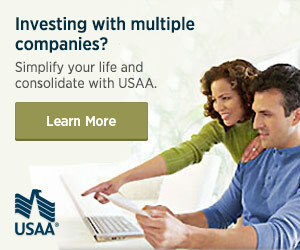 Roth IRAs, CDs, stocks, insurance, your 401K . . .what are the right choices for your financial future? “Your Money: Your Choices“ will clear out the cobwebs and confusion surrounding these concepts and more with clear and concise information. You’ll hear tips and tools that you can put into action right now to help save your hard earned income in way that will protect your future for a healthy retirement. Whether you are a single mom or a father of five, “Your Money: Your Choices” will get you on track and put your money back in your control where it belongs! Episode #9 (6-24-13) – What Is Your Magic Retirement Number?